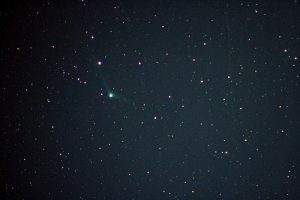 Comet C/2013 US10 is currently in the morning just north a few degrees of Venus. It is starting to fade from its current 5.0 Magnitude. This image was taken with a Cannon EOS Rebel and a stock (non-L) lens.